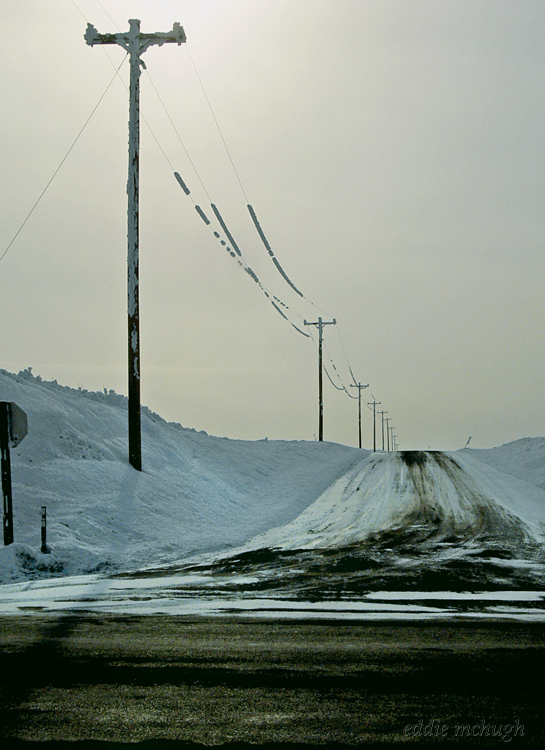 I hate telephone poles in real life, but they do sometimes work in photos. They help lead the eye up that road. I like the top-heavy composition of this and the vanishing road. Makes you pause and wonder where it goes. Very nice! An exceptional image. One of my favorites.